Includes the names: Frank Jr. Gilbreth, Frank B. Gilbreth Jr., Gilbreth Frank B. Jr., Frank B. Gilbreth Jr., Jr. Frank B. Gilbreth, Frank B. Gilbreth Jr. The popular works “Cheaper by the Dozen” and “Belles on Their Toes” were written by Frank B. Gilbreth, Jr. and his sister Ernestine Gilbreth Carey. Their father, Frank B. Gilbreth, Sr. was an author in his own right who wrote, alone or with his wife Lillian, a number of works in the field of Motion Study and Efficiency. Works by Frank Bunker Gilbreth, Jr.
Also by Frank Bunker Gilbreth, Jr.
Frank Bunker Gilbreth, Jr. is currently considered a "single author." If one or more works are by a distinct, homonymous authors, go ahead and split the author. 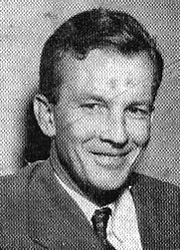 Frank Bunker Gilbreth, Jr. is composed of 7 names. You can examine and separate out names.